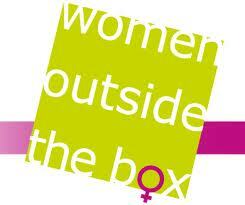 Women Outside the Box is crowdfunding on Seedrs. They are trying to raise £60K to build a network of female entrepreneurs online who can help each other build secure futures by growing their businesses through mutual support, advice, partnering as well as promoting their products on the website. The investment will be wholly spent on new jobs from categories of disadvantage worker including lone parents and the long term unemployed. They are accessing European Funding to match their crowfund to make this happen. I wrote recently about women and crowdfunding and Joni Farthing (WOTB founder) shares with me a passion for crowdfunding and a belief that it suits female entrepreneurs. But does it suit female investor? Joni has written about women and crowdfunding and I have included extracts below. “Whether that’s because of bigger corporate jobs, the rise of female entrepreneurship, bigger and more common divorce settlements, the coming to pension age – with the attached tax-free lump sum – of the first generation of women for whom university and a professional career were the norm or the pre-decease of an older male spouse. But women often tend to be more canny with money than men. Will equity investment appeal – are women too cautious to invest in startups”? 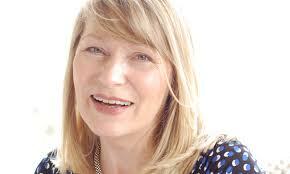 “Crowd-funding makes a big project happen through lots of small sums being invested. And investors are given full warnings about the dangers. And investing small sums? Just take a look at the phenomenal rise in online bingo sites if you want to know whether women will risk small sums. They don’t want to sit in dusty betting shops on their own, they want to have fun online from their own home”. Women Outside The Box is crowdfunding – but are women investing? “The project is all about building a vast network of female entrepreneurs on- and off-line and has been massively successful despite lack of funding. We want women to understand their power within for-profit businesses – whether that’s running one or investing in one”. Time will tell whether the women who are the target audience and current and future members of the WOTB Network feel confident of willing to invest to make tis project happen. Do you only work in the UK or also outside. We are situated in Suriname South America, and wondering whether this is interesting for us.